Clickable map plugin for WordPress. Each region of this map can receive a HTTP internal or external link and a title. This WordPress plug-in is free BETA version, a set up tutorial and installation is available on our blog. Background and rollover color customizable. Editable link (url of the page) for each region. Text and bubble-tip colors editable. Embed into the text of your pages and posts by a simple shortcode. 100% Compatible Wordpress Plugin, 4.95. 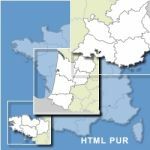 Clickable map plugin for WordPress. Each new region of this map can receive a HTTP internal or external link and a title. 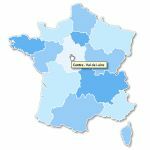 26 Clickable maps of all regions of France and dom-tom cut into ready-to-use departments. 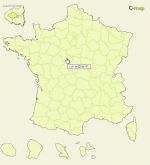 Free clickable map of France no database, configurable as needed. Html 5 Compatible Chrome, Firefox, Internet Explorer 9 and +, Safari, Opera.